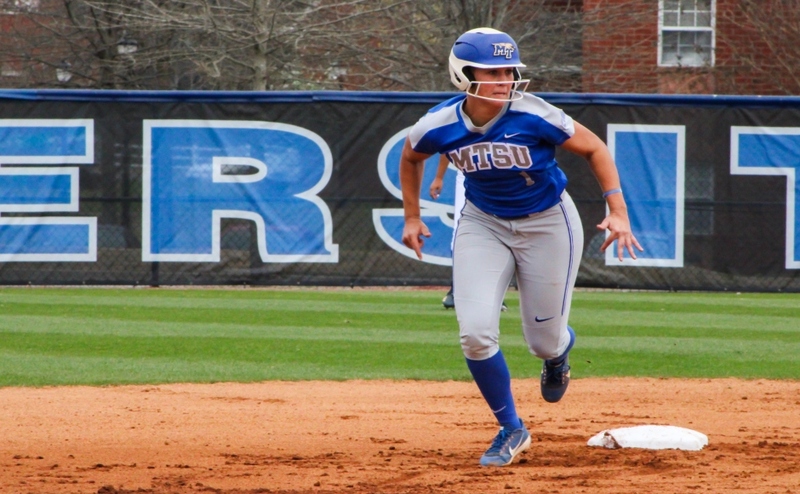 Behind two solid pitching performances by Cori Jennings and Gretchen Greer, the Middle Tennessee Blue Raiders added two wins to their record against the Alabama A&M Bulldogs at the Blue Raider Softball field in Murfreesboro, extending their winning streak to four straight games. 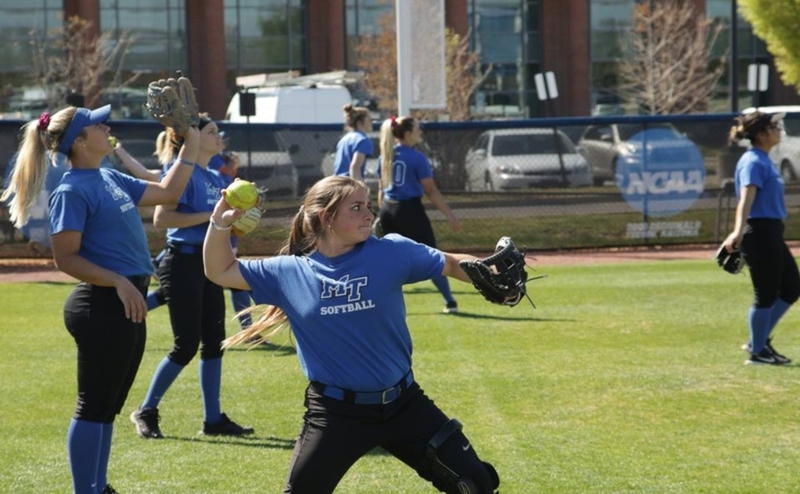 For game one, Middle Tennessee turned to their pitching ace in search of a shutdown outing. Jennings was in the circle for game one and shined once again, as she allowed no runs off two hits while striking out ten batters in her eight innings of work. Jennings now has ten wins on the season, and she is one strikeout away from 100 strikeouts on the season. The Bush Creek, TN native continues to give the Blue Raiders solid start after solid start and for the rest of the rotation, it gives them growing confidence in not just Jennings’ talent, but in their own as well. With both teams locked in a scoreless battle in extras, MT turned to an unlikely hero for a spark in the bottom of the eighth. 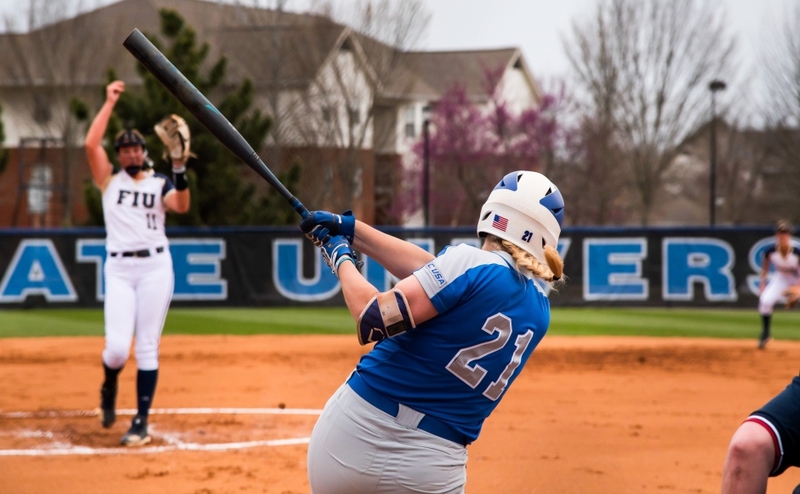 With the game hanging in the balance and a 1-0 count in her favor, sophomore Kirstyn Cuccia blasted the ball over the right field fence to give the Blue Raiders a 1-0 walk-off win. Cuccia’s homer was her first of the season and it was also the first one hit by a Blue Raider in Murfreesboro this year. After coming out with the victory in game one, the Blue Raiders came out with the same style of game for the second act. Greer pitched in the circle in game two for the Blue Raiders, and the junior from Collinwood, TN made it a night to remember. Greer allowed no runs off four hits and struck out 13 batters in her seven innings of work. With her season-high for single-game strikeouts, this also marks the highest number of strikeouts in a game for a Blue Raider pitcher since 2010. Greer hopes to take what she did in this game and replicate it going forward, especially this late in the season. 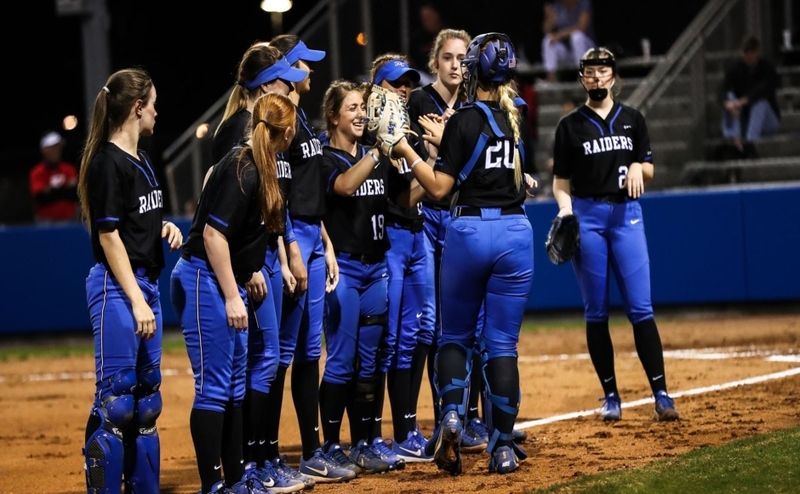 After struggling the last couple of weeks, Greer has given the Blue Raiders a great second option in the pitching rotation with a couple great outings. She’s expected this much out of herself, as she knows just how talented she is. 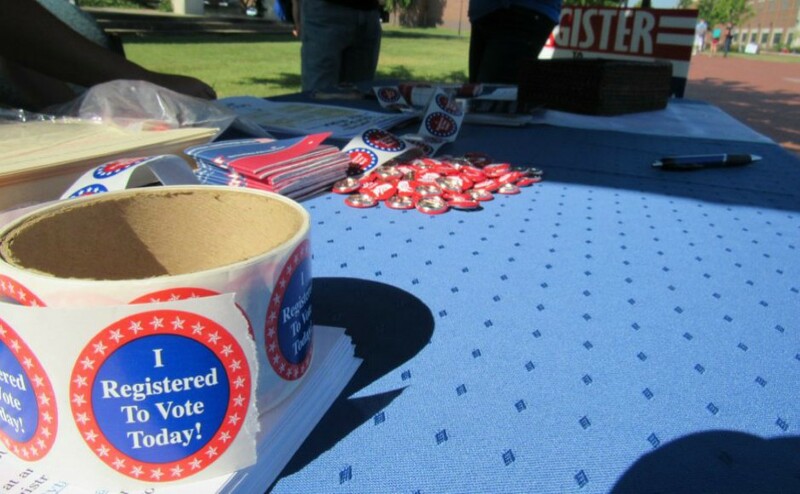 “That’s very exciting for me cause that means I’m getting back to where I need to be,” Greer said. “I’ve went through a rough patch right there, but to make seven innings and especially seven inning shutouts it’s very exciting. And that isn’t lost on the head coach either. Freshman Kaylyn Slatter went 2-for-3 in the game with a solo home run, her second of the season, to center field to give the Blue Raiders a 1-0 lead in the bottom of the fourth. 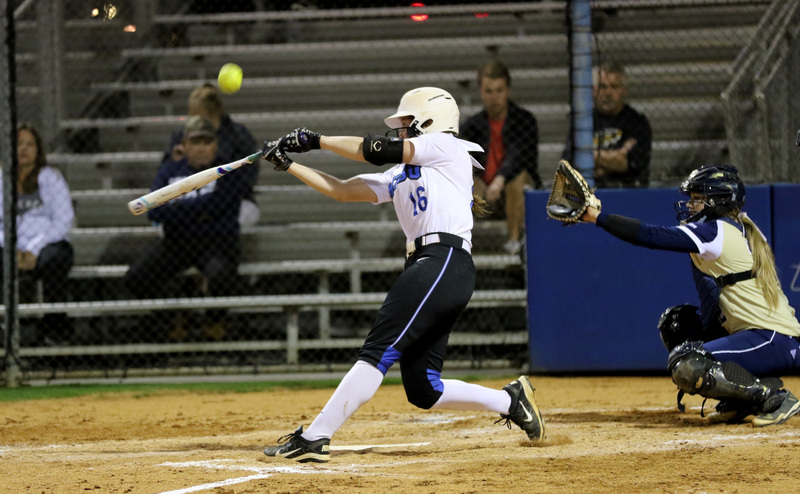 Despite having a great power game, Slatter kept her approach at the plate simple and it paid off for her team. Energy has been key for the team this year, and her home run did a lot for the team to get them fired up. The Blue Raiders will be back in action on Saturday with a double-header against Marshall at home. First pitch is set for 2 p.m.